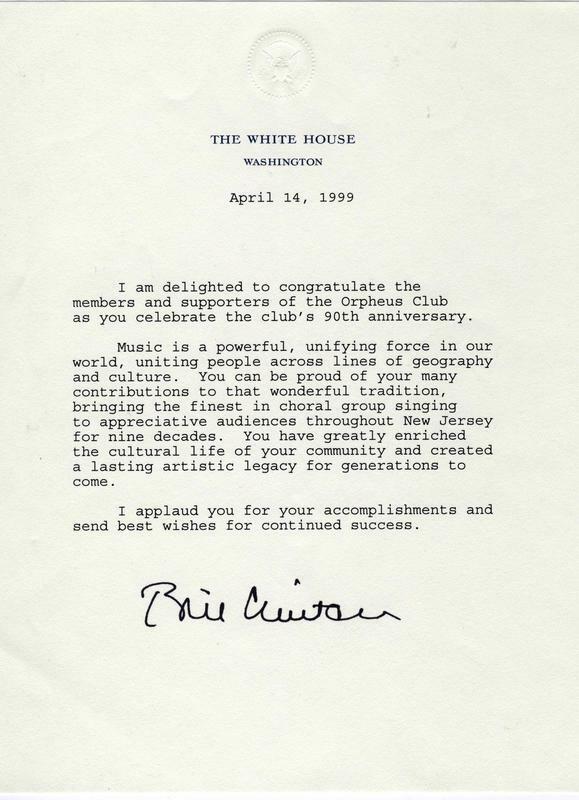 "Best Musical Group on a Float." 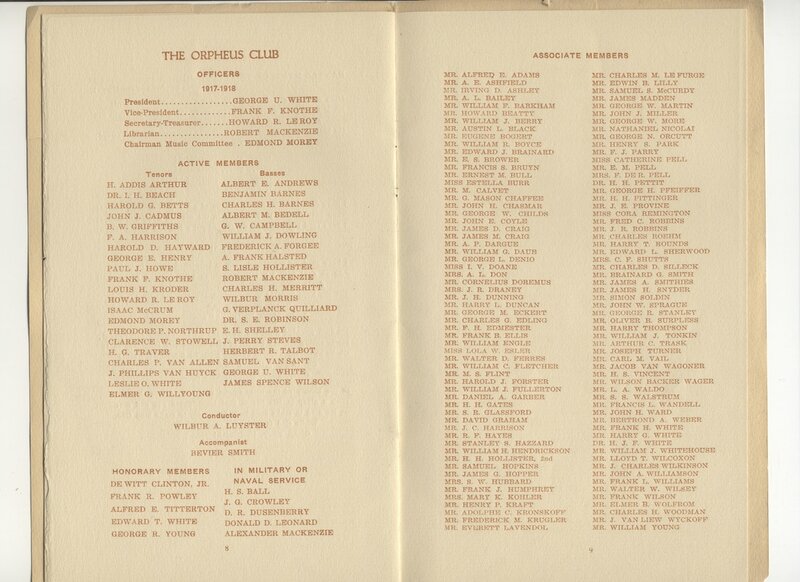 ​Congratulations to all the Orpheans who earned this honor! 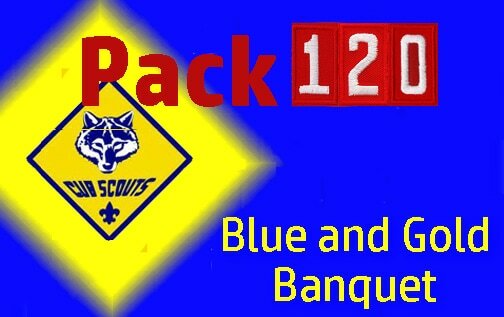 ​Spring Concert - "The Yanks Go Over There"
of Cub Scout Pack 120, Norwood, NJ, on Saturday, March 11, 2017. 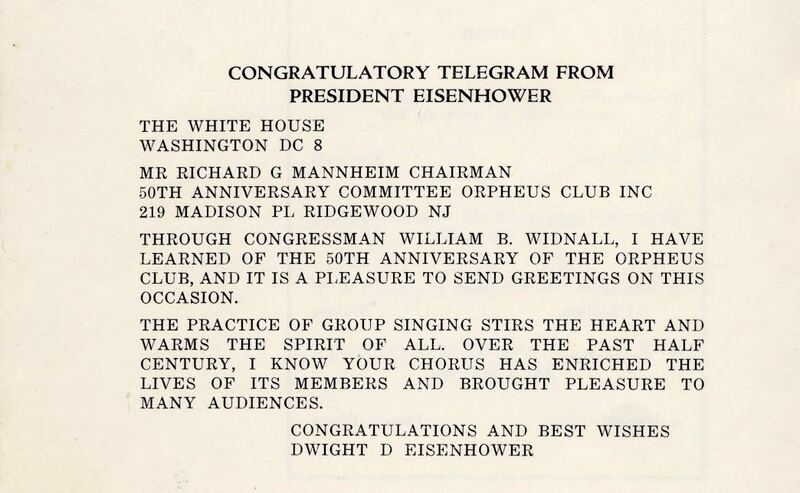 The scouts joined Orpheus in singing America the Beautiful and God Bless America. 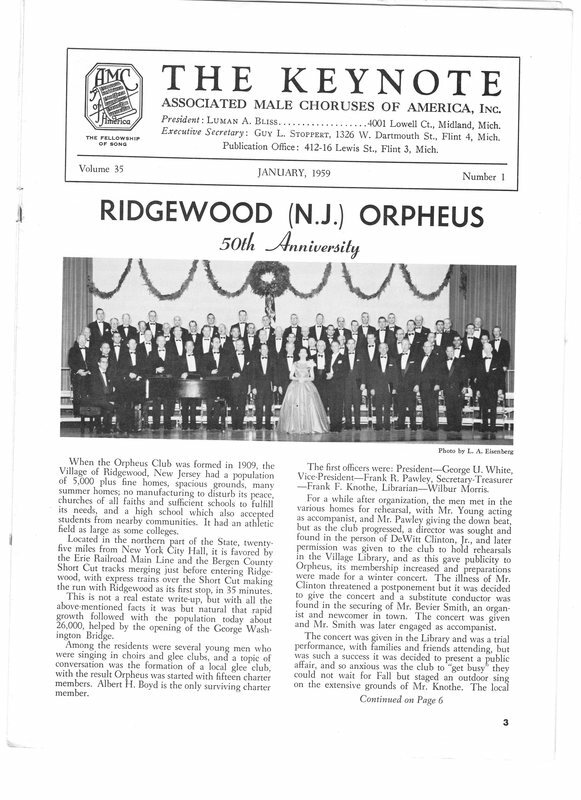 Orpheus rehearsal March 1, 2017 with John Palatucci cutting the birthday cake. 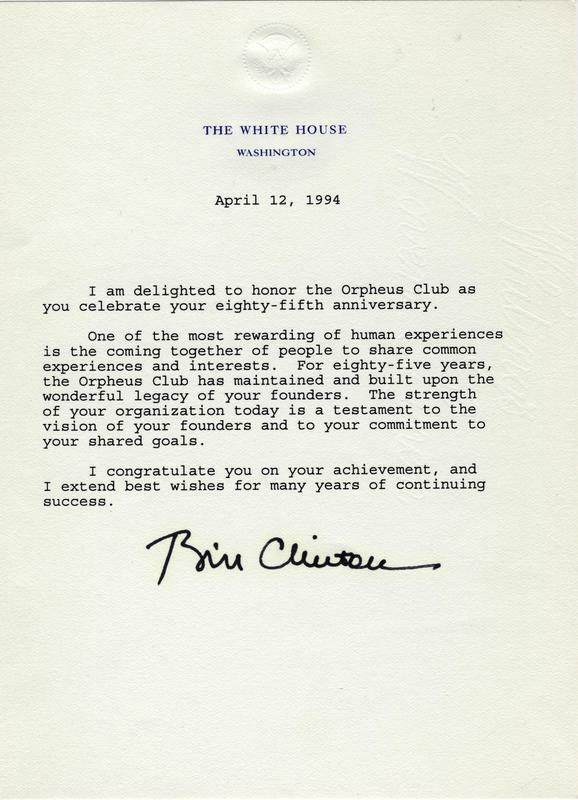 We rehearse hard, and cake hard. 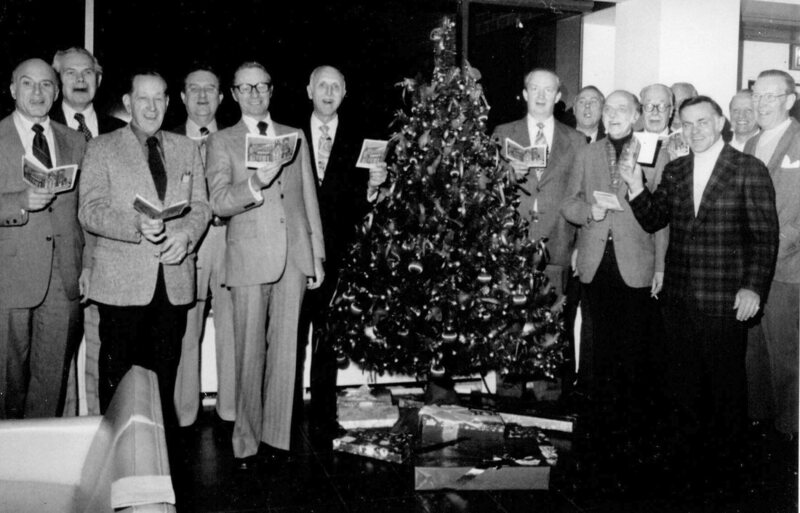 Pictured with John clockwise are Dave Strife, Eric Schwarz, and Ron Levy. 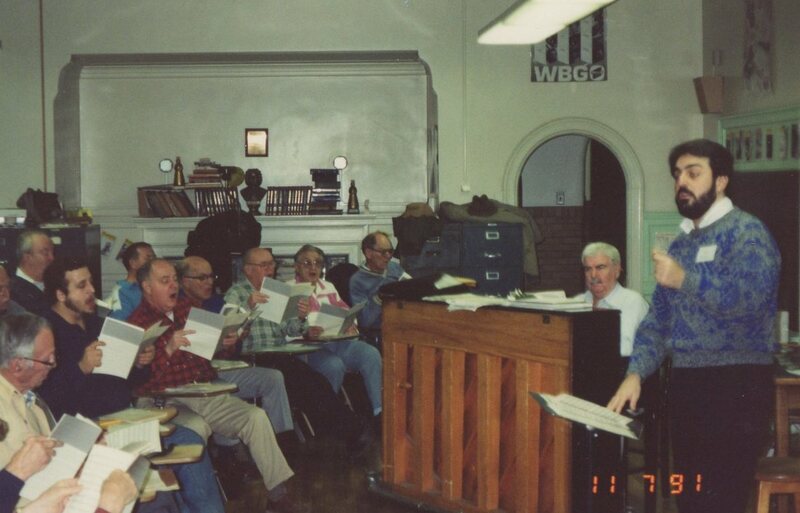 Orpheus rehearsal, November 7, 1991, with Richard Lane on piano and young John Palatucci directing. 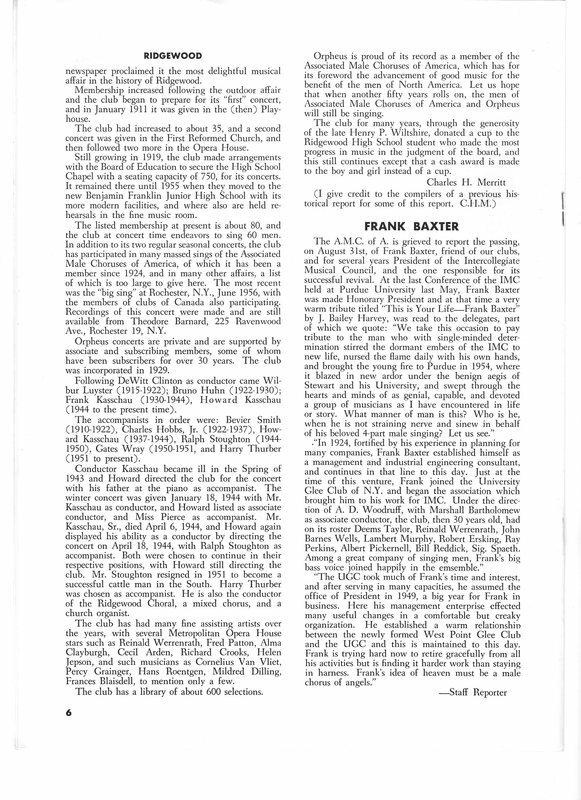 1965 concert at Benjamin Franklin Middle School with Gerald Weale conducting and a young Richard Lane at piano. 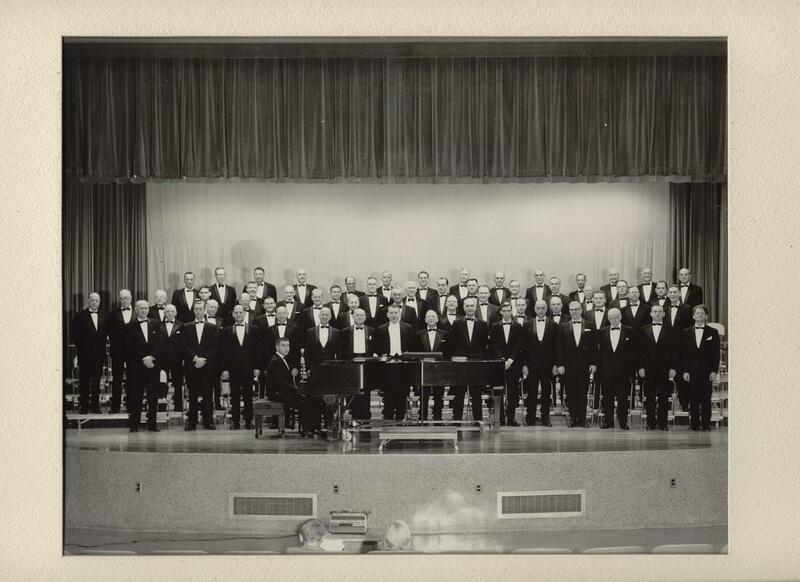 ​Orpheus sings at the World's Fair Concert on June 6, 1964 at the Sugar Bowl in Flushing Meadows, NY with the Associated Male Choruses of America, Inc. Bailey Harvey (Orpheus interim Conductor, 1977-1978) was Master of Ceremonies. 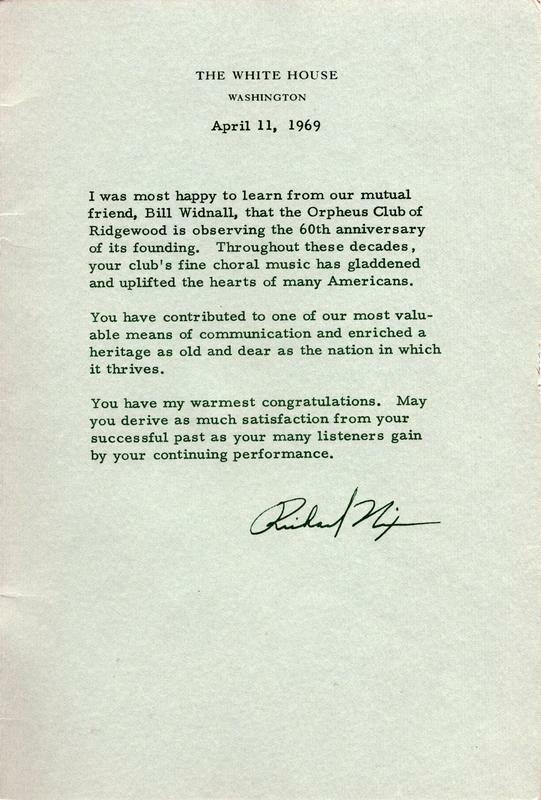 Gerald Weale, Orpheus' own Conductor, was organist for the concert, in which 75 choruses performed. 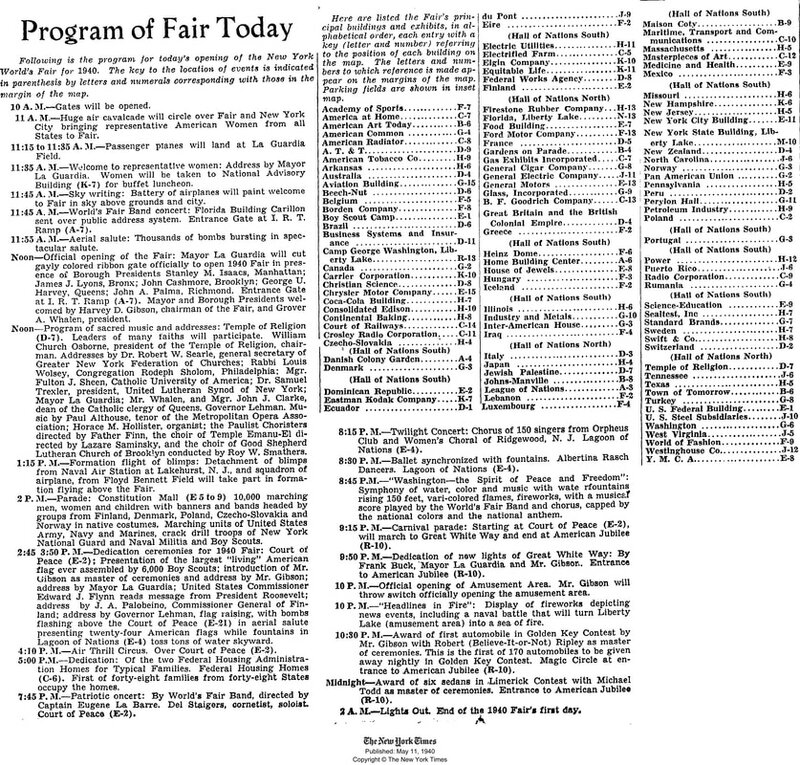 Orpheus gives a twilight concert at the Lagoon of Nations for the 1940 Opening Ceremonies of the New York World's Fair on May 11, 1940. 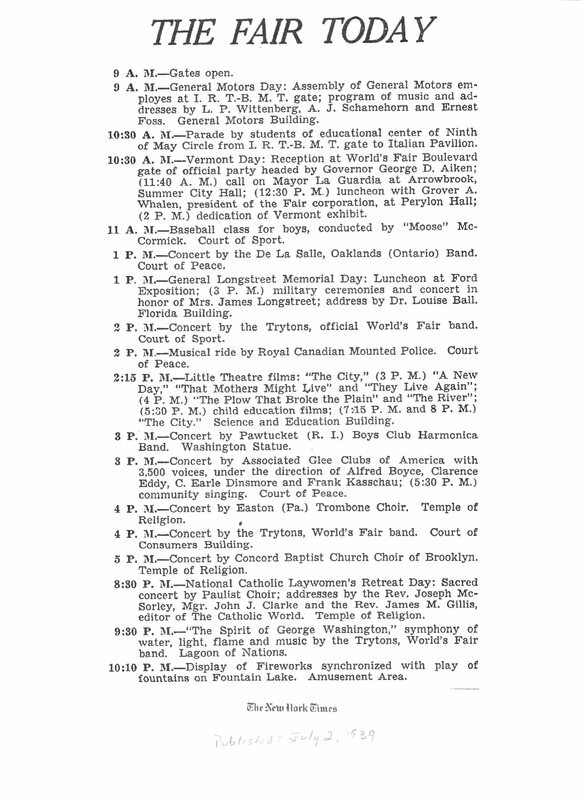 Worlds Fair Daily Calendar from the New York Times of July 2, 1939, showing Orpheus in Concert under the directon of Frank Kasschau, with the Associated Glee Clubs of America. 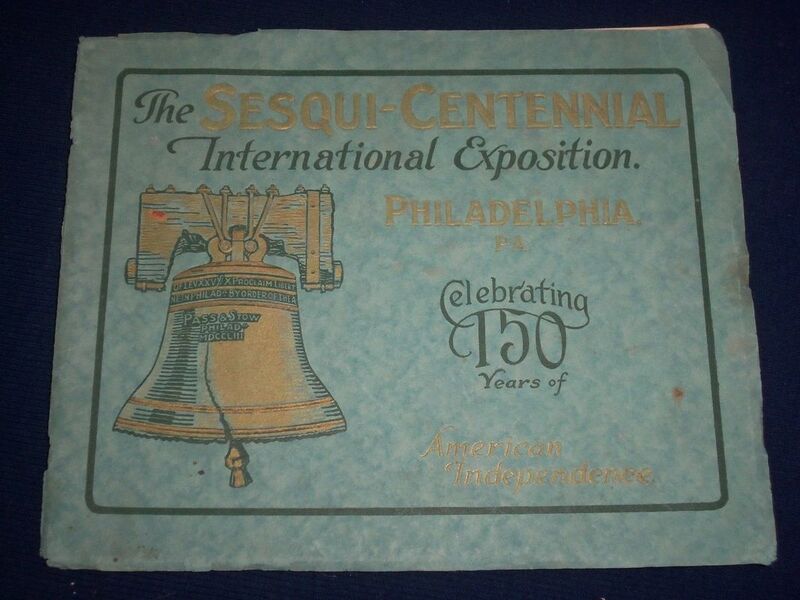 Orpheus sang with the Associated Glee Clubs of America in November, 1926 at the Sesqui-Centennial International Exposition of Philadelphia 1926 to celebrate the 150th Anniversary of the Declaration of Independence. 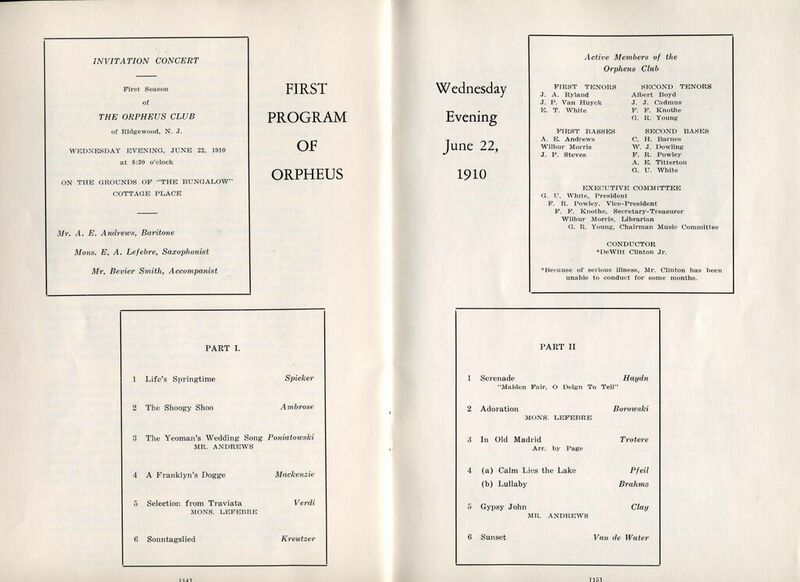 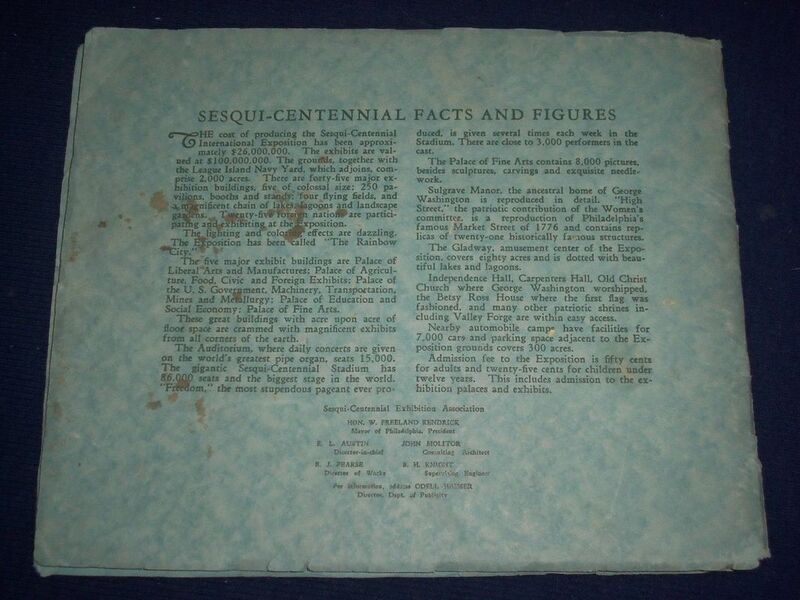 Above is the concert program from the January 30, 1918 Orpheus Club concert held at the Ridgewood Playhouse. 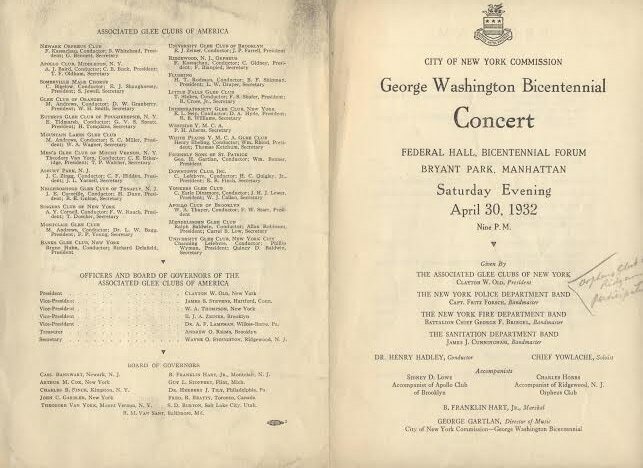 The concert had a distinctly martial and patriotic focus, as one might expect. 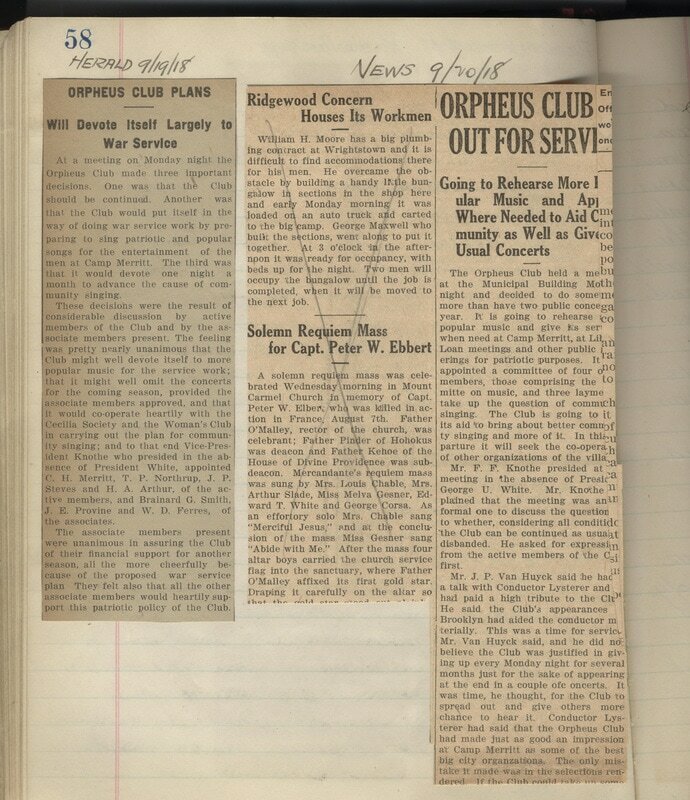 On May 6, 1918 the Orpheus Club sang to 2,000 soldiers at Camp Merritt in Cresskill, NJ, just before embarkation to France. 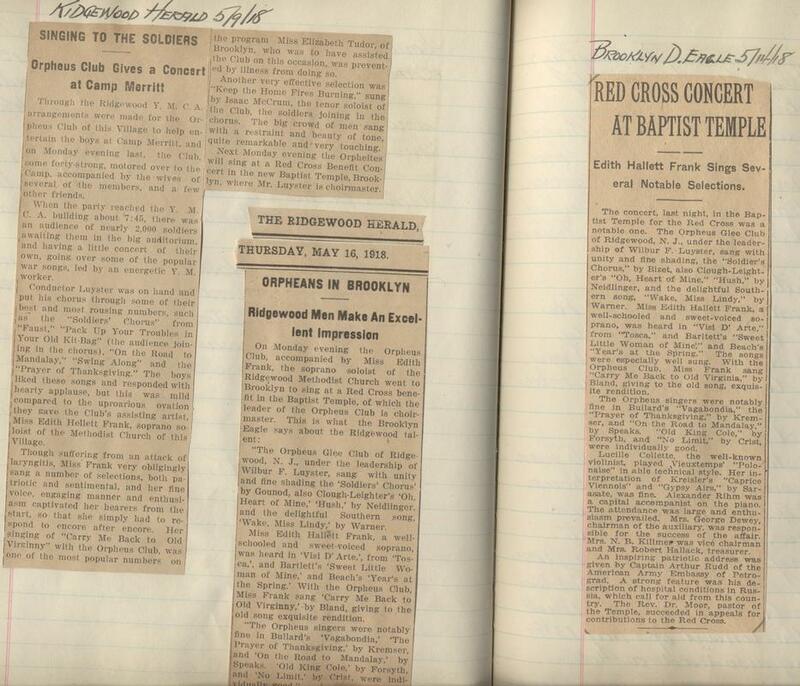 The following week, the Orpheus Club traveled to Brooklyn, NY to sing at a Red Cross Benefit Concert. 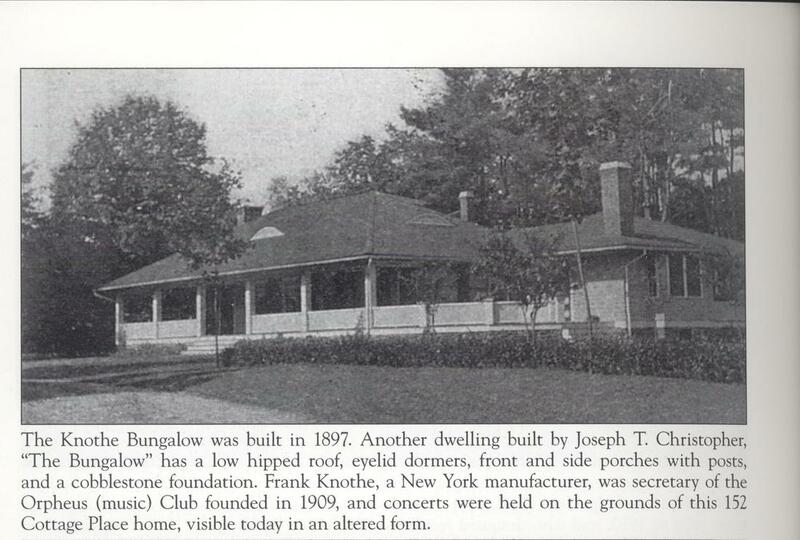 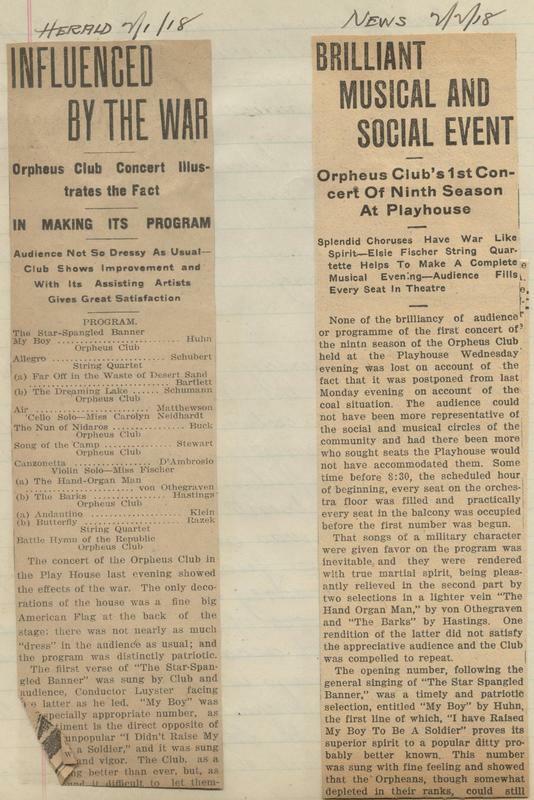 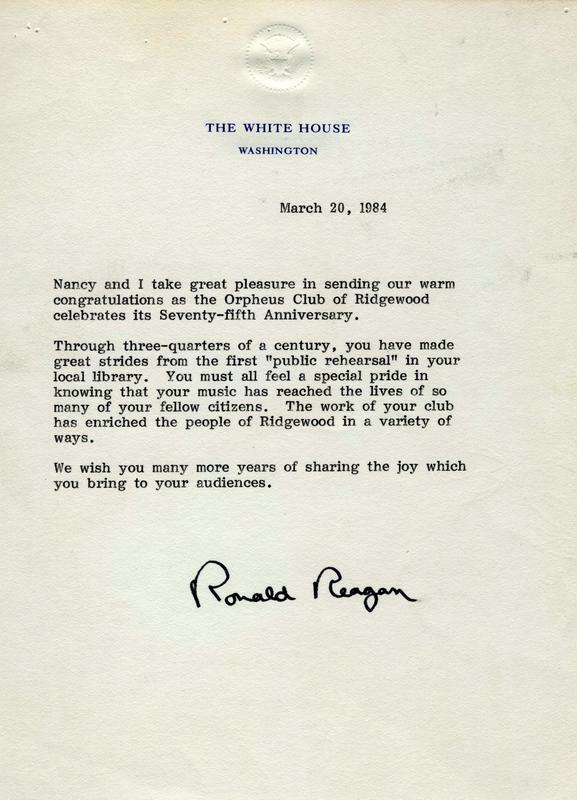 At its September 16, 1918 meeting, the Orpheus Club dedicated all its efforts to war service. 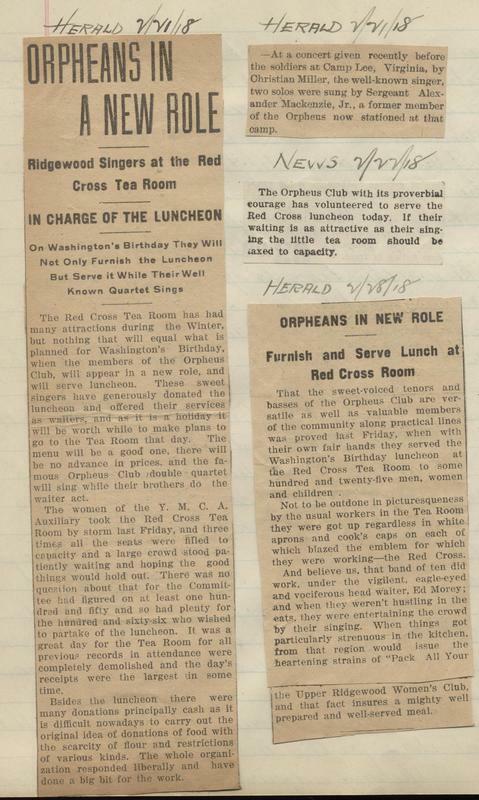 Foregoing semi-annual concerts, Orpheus rehearsed more popular music to entertain the soldiers at Camp Merritt, to perform at Liberty Bond rallies, and to support morale at home with a series of community sing-alongs.